Researchers have translated famous ancient symbols in a temple in Turkey, and they tell the story of a devastating comet impact more than 13,000 years ago. Cross-checking the event with computer simulations of the Solar System around that time, researchers suggest that the carvings could describe a comet impact that occurred around 10,950 BCE - about the same time a mini ice age started that changed civilisation forever. This mini ice age, known as the Younger Dryas, lasted around 1,000 years, and it's considered a crucial period for humanity because it was around that time agriculture and the first Neolithic civilisations arose - potentially in response to the new colder climates. The period has also been linked to the extinction of the woolly mammoth. But although the Younger Dryas has been thoroughly studied, it's not clear exactly what triggered the period. A comet strike is one of the leading hypotheses, but scientists haven't been able to find physical proof of comets from around that time. The team from the University of Edinburgh in the UK say these carvings, found in what's believed to be the world's oldest known temple, Gobekli Tepe in southern Turkey, show further evidence that a comet triggered the Younger Dryas. "I think this research, along with the recent finding of a widespread platinum anomaly across the North American continent virtually seal the case in favour of [a Younger Dryas comet impact]," lead researcher Martin Sweatman told Sarah Knapton from The Telegraph. "Our work serves to reinforce that physical evidence. What is happening here is the process of paradigm change." The translation of the symbols also suggests that Gobekli Tepe wasn't just another temple, as long assumed - it might have also been an ancient observatory. "It appears Gobekli Tepe was, among other things, an observatory for monitoring the night sky," Sweatman told the Press Association. "One of its pillars seems to have served as a memorial to this devastating event – probably the worst day in history since the end of the Ice Age." The Gobekli Tepe is thought to have been built around 9,000 BCE - roughly 6,000 years before Stonehenge - but the symbols on the pillar date the event to around 2,000 years before that. 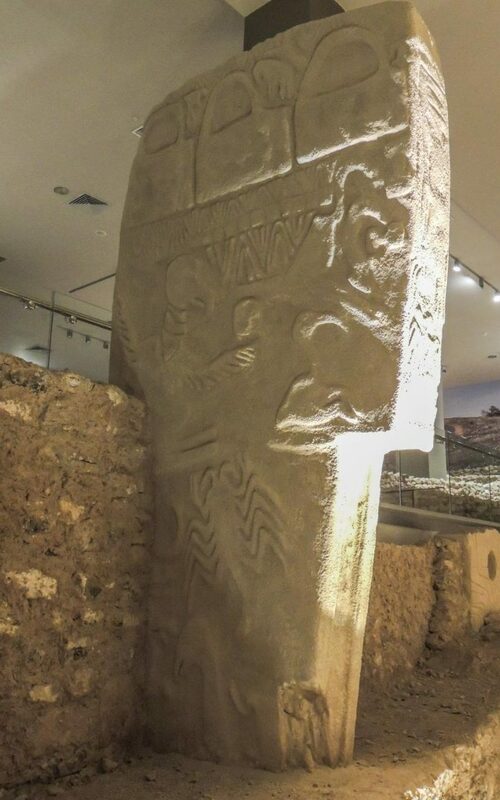 The carvings were found on a pillar known as the Vulture Stone (pictured below) and show different animals in specific positions around the stone. The symbols had long puzzled scientists, but Sweatman and his team of engineers discovered that they actually corresponded to astronomical constellations, and showed a swarm of comet fragments hitting the Earth. An image of a headless man on the stone is also thought to symbolise human disaster and extensive loss of life following the impact. The carvings show signs of being cared for by the people of Gobekli Tepe for millennia, which indicates that the event they describe might have had long-lasting impacts on civilisation. To try to figure out whether that comet strike actually happened or not, the researchers used computer models to match the patterns of the stars detailed on the Vulture Stone to a specific date - and they found evidence that the event in question would have occurred about 10,950 BCE, give or take 250 years. 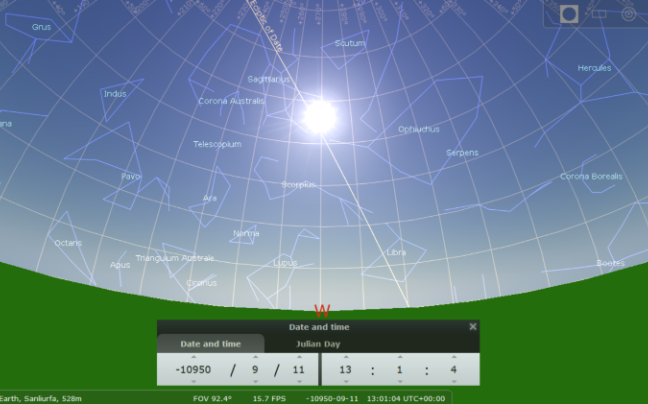 Here's what the researchers suggest the sky would have looked like back then. The dating of these carvings also matches an ice core taken from Greenland, which pinpoints the Younger Dryas period as beginning around 10,890 BCE . According to Sweatman, this isn't the first time ancient archaeology has provided insight into civilisation's past. "Many paleolithic cave paintings and artefacts with similar animal symbols and other repeated symbols suggest astronomy could be very ancient indeed," he told The Telegraph.